There are many excellent devices or items out there that can enhance your smoke sessions, and make your friends jealous of your weed swag. Finding yourself some cool weed smoking accessories can really enhance your smoking experience. There are many excellent devices or items out there that can enhance your smoke sessions, and make your friends jealous of your weed swag. Humboldt Clothing Company has the ultimate solution to one of the most perplexing problems for herb lovers. The dilemma? A lost lighter. The company is selling a simple accessory that will prevent you from losing track of that vital flame. 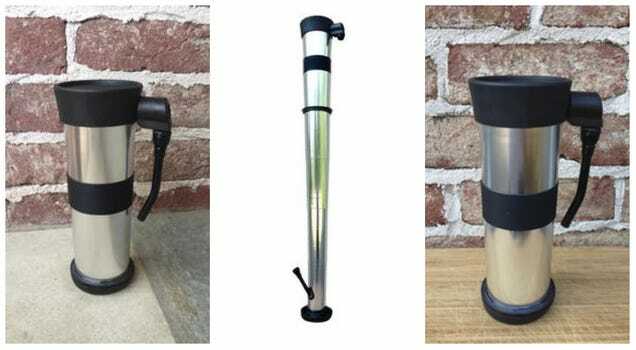 The Coffee Mug Pipe features a stainless steel construction, telescoping out to a 2.5 foot bong, and able to carry up to 12 oz. of brew, the original Coffee Mug Pipe is a thing of beauty, and power. When you’re done smoking out of it, it folds in seconds back into an inconspicuous ordinary coffee mug. The Swiss Army knife of cannabis tools is here. The Nuggy has everything an on-the-go stoner needs. At only the size of a pack of gum, and just half a pound, The Nuggy might feel dainty, but it is built heavy duty. Between the annealed stainless steel tools and the ultrasonic-welded plastic case, this tool can take a punishment. Sporting 10 tools for everyday tasks of smokers and vapers alike, including a poker, bowl scraper, and even a LED flashlight, this is a must-have accessory for the versatile cannabis enthusiast. This is the next level in grinder technology, packed with features unseen on any other grinder before. Their original 4-Way Quicklock feature eliminates cross threading incidents and jammed grinders. The bottom catch chamber is not only 2x larger than the average grinder’s catch, its rounded contour design allows easy access and finger scooping your pollen. This industry-first humidity “glass humidor” is changing the way consumers store their cannabis and elevating both Mypharmjar and Dope jars to a whole new level. Biophotonic Glass, or violet glass, appears almost black so it filters out harmful UV lights. They protect your bud from decomposition by allowing only three frequencies of enhancing light to penetrate the jar.